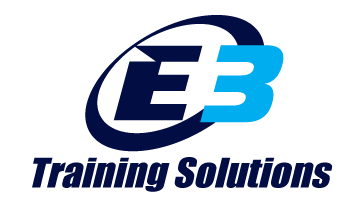 At E3 Training Solutions we offer a variety of services we refer to performance services because they are specifically designed to help you improve. All our services are evidence-based on the latest scientific, established training concepts and technology. We associate with experts in different fields such as biomechanics, soft tissue rehab/treatments, physical therapists, functional movements and static/dynamic analysis. Finally, we follow reputable testing protocols that will provide you valuable feedback for your training. What is a Clinical Gait Analysis? Clinical gait analysis is a process whereby mechanic gait characteristics are measured, abnormalities are identified, causes are postulated, and treatments are proposed. Notice this is different from our performance run gait analysis. The analysis begins with a detailed assessment examining the patient’s injury history (how it occurred, training load at the time, etc). The analysis involves the placement of external markers at specific points on the lower extremities, pelvis and torso of the patient. These markers are then monitored by specialized equipment (HD camera) while the patient performs functional movement patters and running on a treadmill and a track. The detailed assessment and videos are analyzed by specialized motion capture software (Dartfish) performing static and dynamic analysis by the interdisciplinary team. The assessment team consists of a physical therapist, chiropractor, biomechanist and certified multisport coach who collected data. The team analyzes all materials and collectively proposes treatment recommendations; treatment may include physical therapy, soft tissue injury treatment, clinical massage, training programs, technique/drill work or a mix of some/all. The goal of clinical gait analysis is to assist in treatment decision-making for athletes with complex and difficult to diagnose running related injuries for which traditional treatments have been unsuccessful. It serves as an adjunct to aid in understanding -- more precisely and at times more accurately -- visual impressions of a patient's gait related impairment. Check our Gait analysis and rehab program package. Follow up meeting with coach to review all materials and discuss treatment recommendations from the interdisciplinary team. * Please keep in mind this service is recommended after an athlete has received professional advice, structural damage has been ruled out and the traditional treatments have been unsuccessful.